Allview AX5 Nano Q is the perfect tablet for people in constant motion. Thanks to the integrated 3G connectivity, GPS and function call, the device provides the necessary freedom. 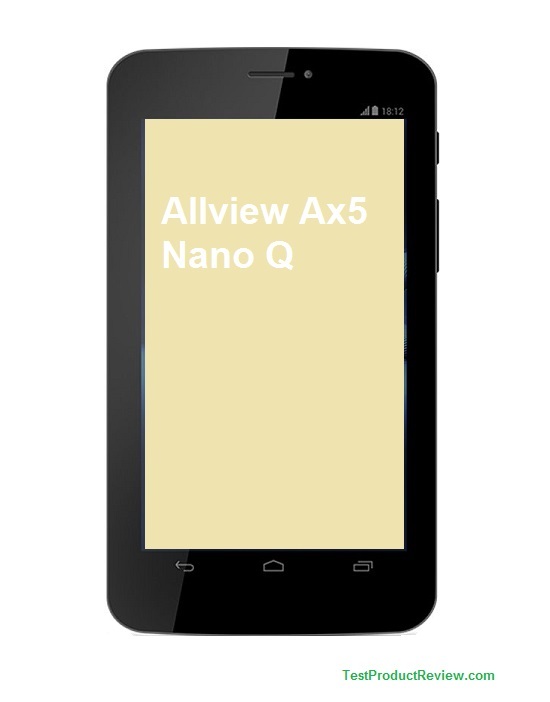 AX5 Nano Q has a 7-inch display with a resolution of 800 x 480 px, Quad Core processor, Bluetooth and operating system Android 4.4. Surfing the web, watching videos, working with new applications and games are possible thanks to the Quad Core processor with a frequency of 1.3 GHz, and graphics Mali 400 MP. The internal memory of 4 GB is expandable up to 32 GB, with the help of microSD card. Tablet AX5 Nano Q has operating system Android 4.4 Kit Kat. The new version of Android has many advantages (nice interface, improved widget-system and smooth transition between screens, faster multitasking and edit images with a series of effects), such as filter frame, add text, and regulation of light colors. Q Nano AX5 accompany you on all journeys. Install GPS application navigation and reach your destination. The main camera helps you keep all the important moments. Use the continuous shooting so the camera captures up to 99 frames. Enjoy the 3G video calls with friends and family. To make a 3G video call interlocutor you must have a compatible device. I would also recommend you to check the similarly equipped and priced Allview AX4 Nano.